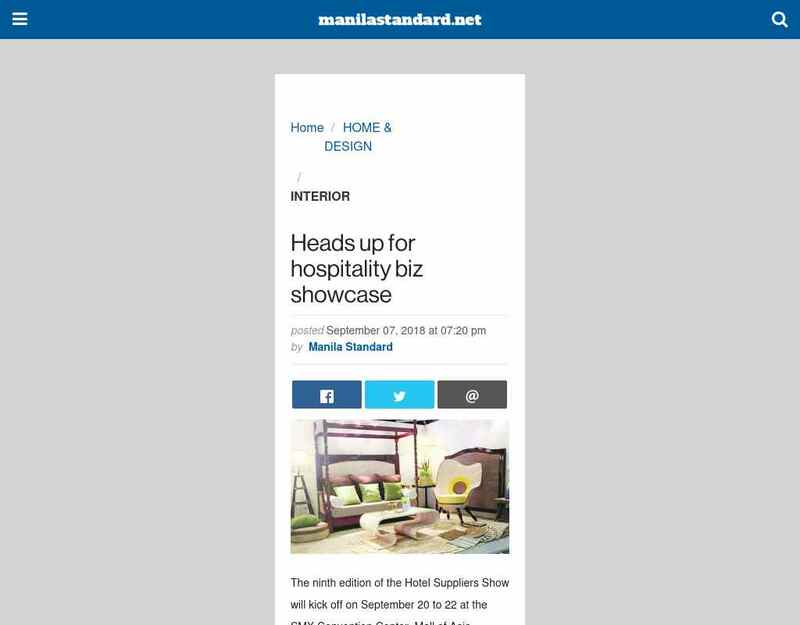 "..Three industry related symposiums will be held: The Continuing Professional Development (CPD) conference, hosted by the Philippines Institute of Interior Designers (PIID); the National Building ..."
"..hosted by the Philippines Institute of Interior Designers (PIID); the National Building and Property Management Summit, a conference for business and trade professionals from the property and ..."
"..Three industry related symposiums will be held: The Continuing Professional Development (CPD) conference, hosted by the Philippines Institute ... economy, accounting for about 21 percent of ..."
"..a conference for business and trade professionals from the property and construction sector; and the Building Green Conference by the Philippine Green Building Council. The local hospitality ..."
"..and the Building Green Conference by the Philippine Green Building Council. The local hospitality industry has been growing stronger each year. The World Travel and Tourism Council (WTTC ..."